Published February 10, 2014 at 1500 × 844 in Thurs, 1/30 @ 1:18PM – US Hwy 280 at Inverness Pkwy. 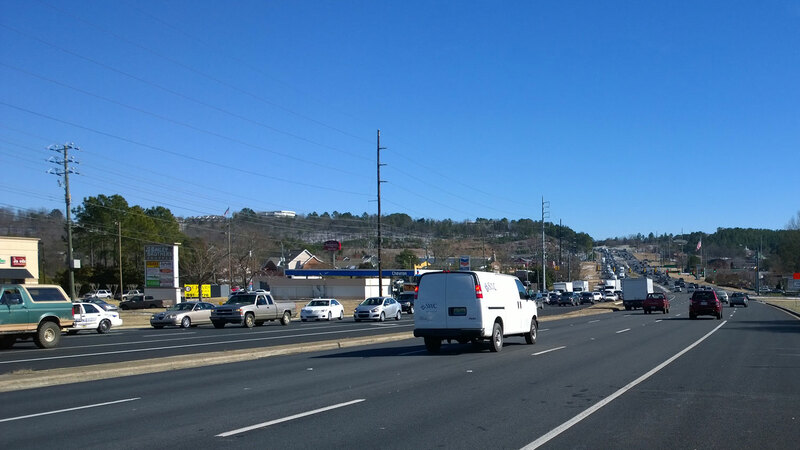 Thurs, 1/30 @ 1:18PM – US Hwy 280 at Inverness Pkwy. I head out on my mountain bike to explore some higher elevations southeast of the city near Chelsea. I ride down 280 and encounter a huge traffic jam extending all the way from the Summit shopping center nearly 10 miles back down to the Lee Branch shopping center.